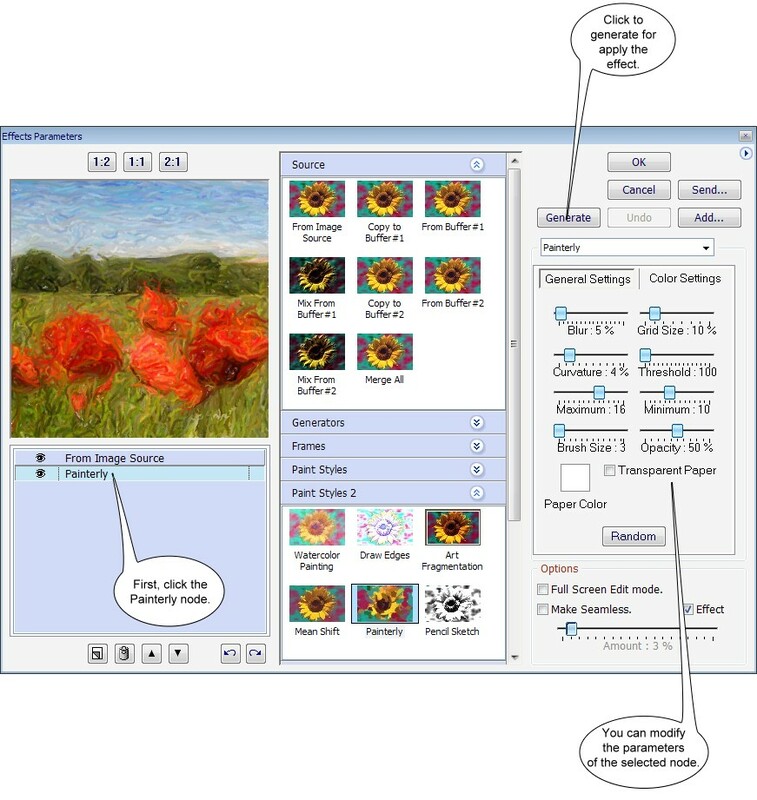 The Imagelys Filter Library is a free online repository of user-created filters to which you can contribute. 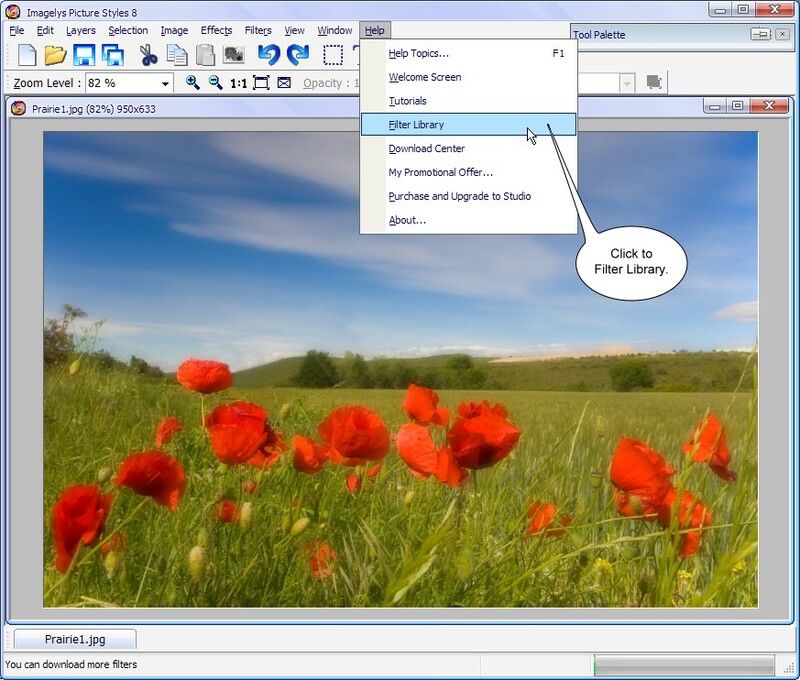 All filters in the Library are free to download and use with the Studio edition only. 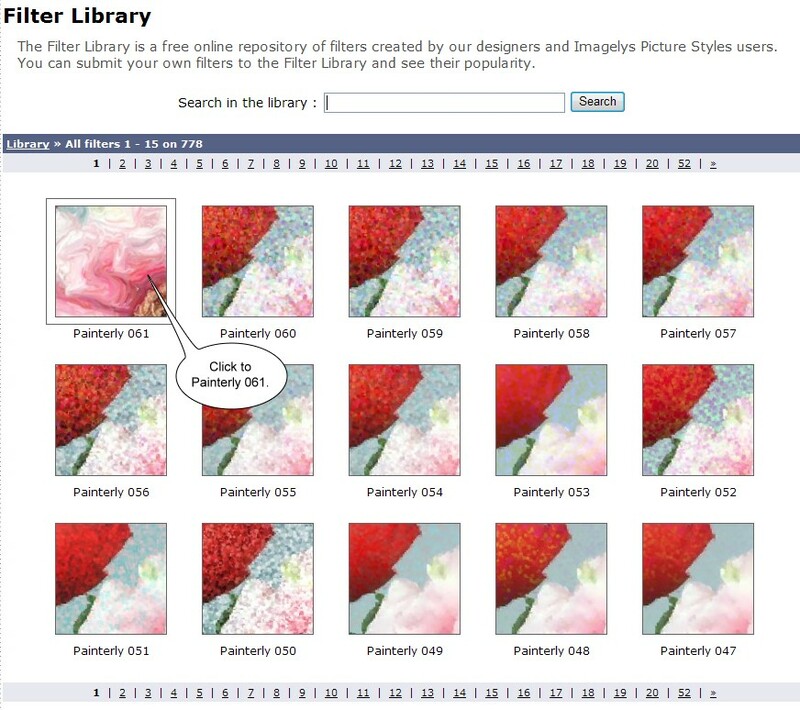 You can submit your own filters to the Filter Library using the Submit Wizard, and see their popularity. 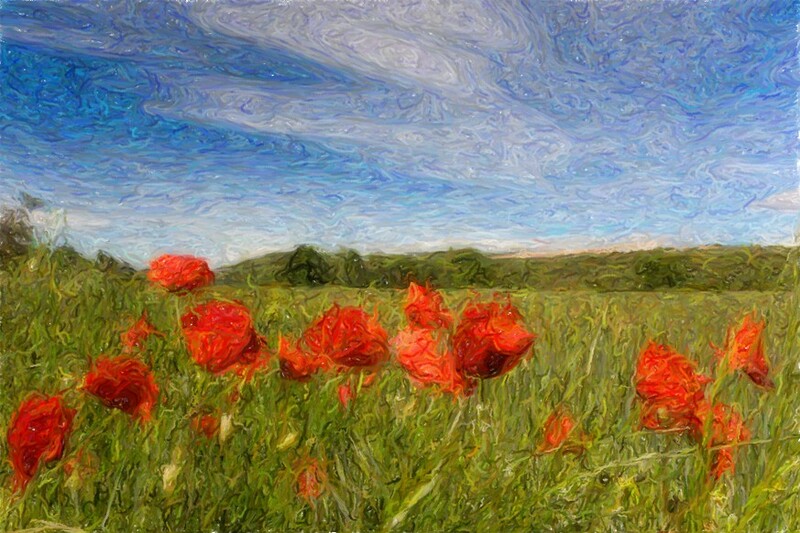 Apply the Impressionist style effects to your images files very easily. 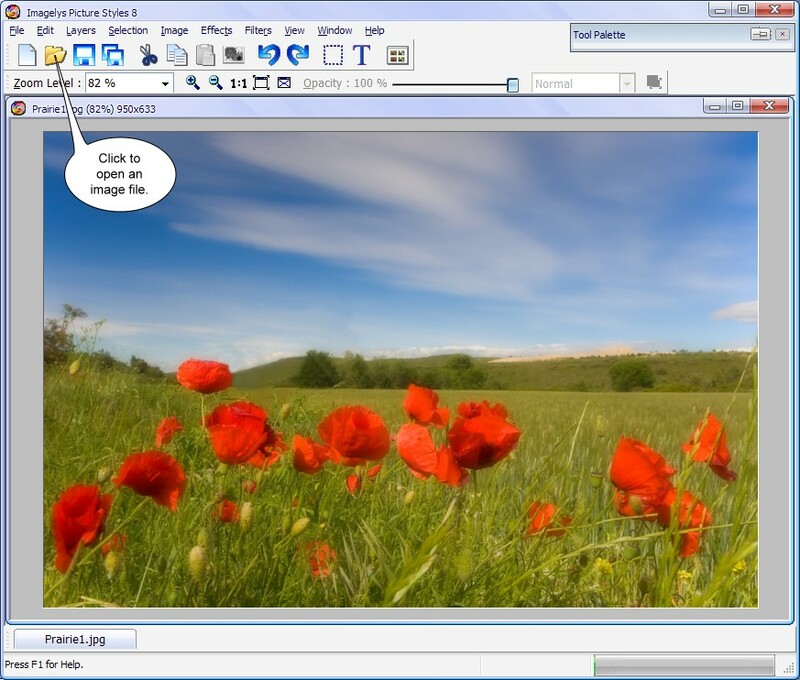 In the main toolbar, click to open and choose an image file. Now, in the Main menu, click the Filter Library. 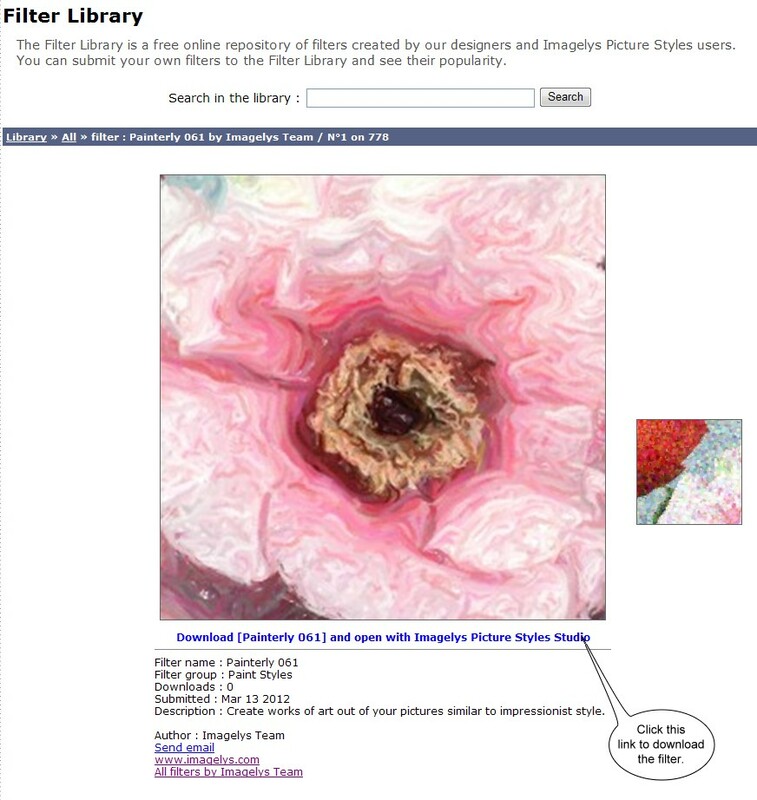 When the Imagelys web site is open, click to Painterly 061 in the Filter Library. Now, click the link to download the filter Painterly 061 and open it. Wait the start of Imagelys Picture Styles and when this dialog box is showed, click the Yes button. 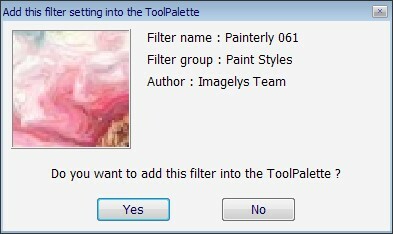 Now, into the ToolPalette, click the effect Painterly 061 and click the Parameters button to apply the filter to the image. 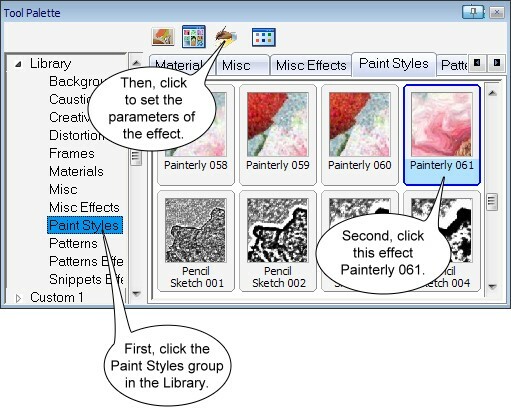 Then, in the Effects Parameters dialog box, you can adjust the effect parameters of Painterly 061 and click the Generate button to apply the filter to the image. The result of Painterly 061 Impressionist style effect.